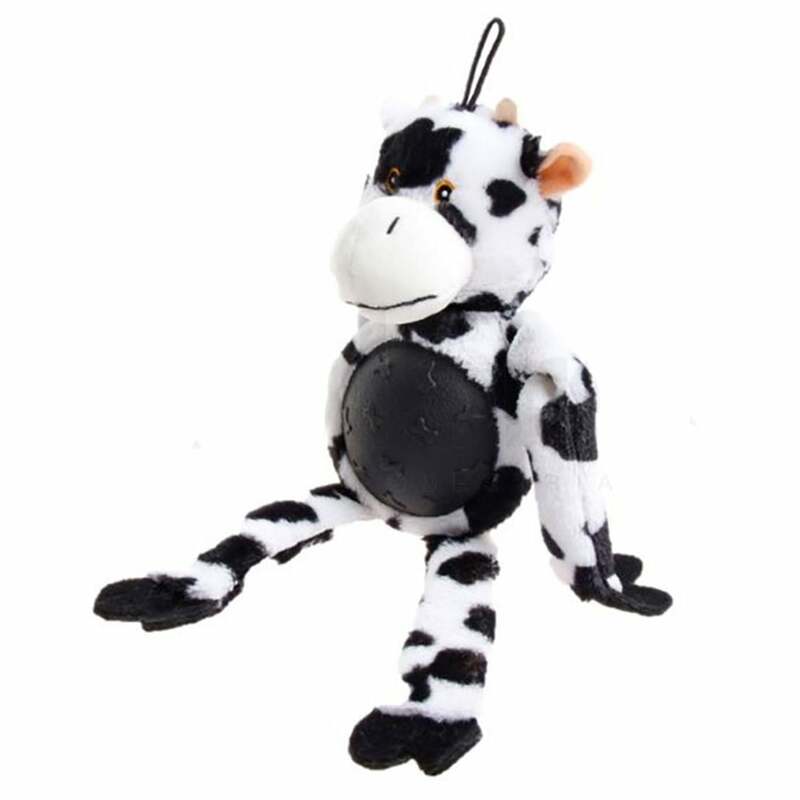 The Petface Farmyard Buddies Rubber Tum Cow is a lovely cow shaped squeaker dog toy. Featuring a 3.5" rubber disc in the tummy for chewing while the soft 8" body with a squeaker is great entertainment. This toy can be used for playing, training or as company for your dog. Most suitable for medium-large breeds, or small breeds who like a challenge.